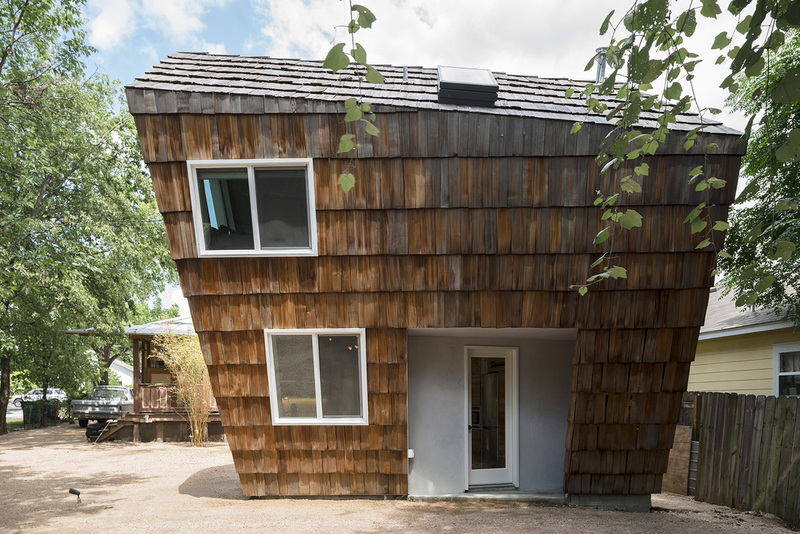 Acting as both architect and general contractor, Austin, Texas-based Studio 512 have completed a small 550 square foot tiny wooden house that draws inspiration from both Dutch and Japanese design elements. 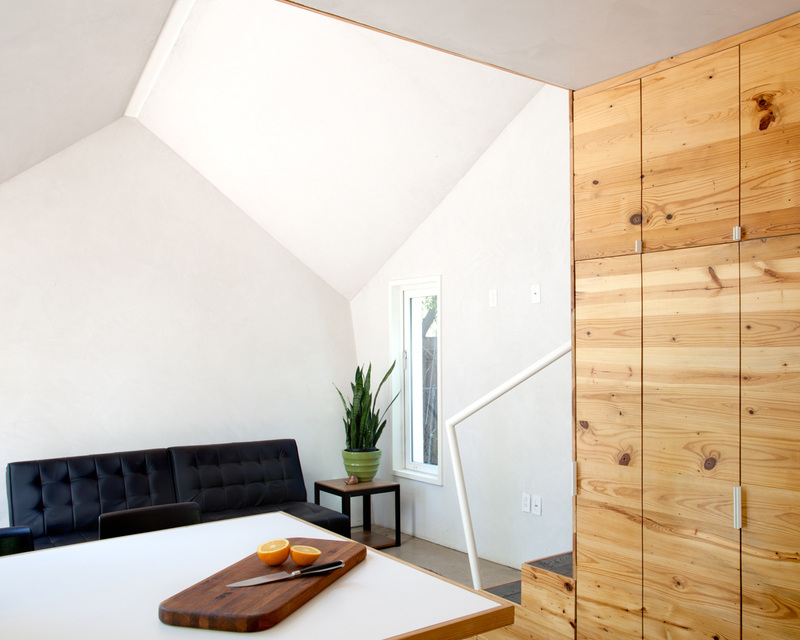 The exterior is covered in reclaimed cedar shakes, while the interior features bright white walls and wood elements. The ground floor is dedicated to the living room and the kitchen. 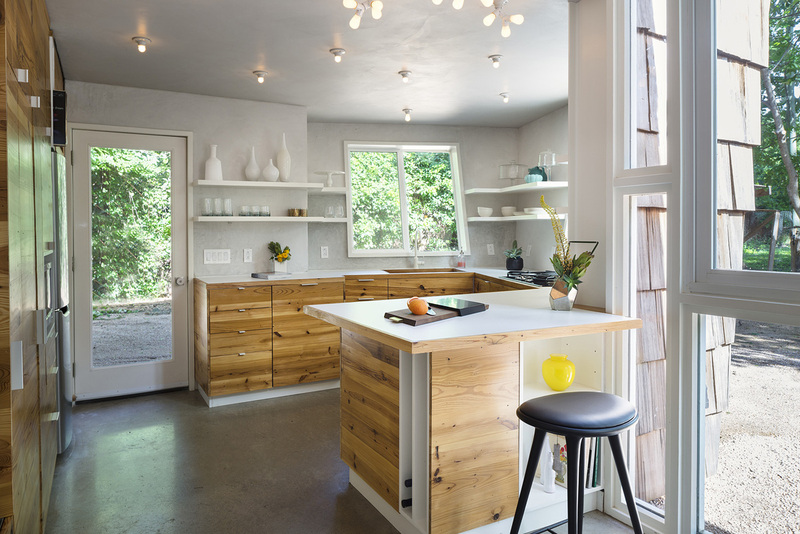 Colquitt inspired light fixtures, hidden lighting, and reclaimed longleaf pine cabinetry are all design elements that have been included in the kitchen design. 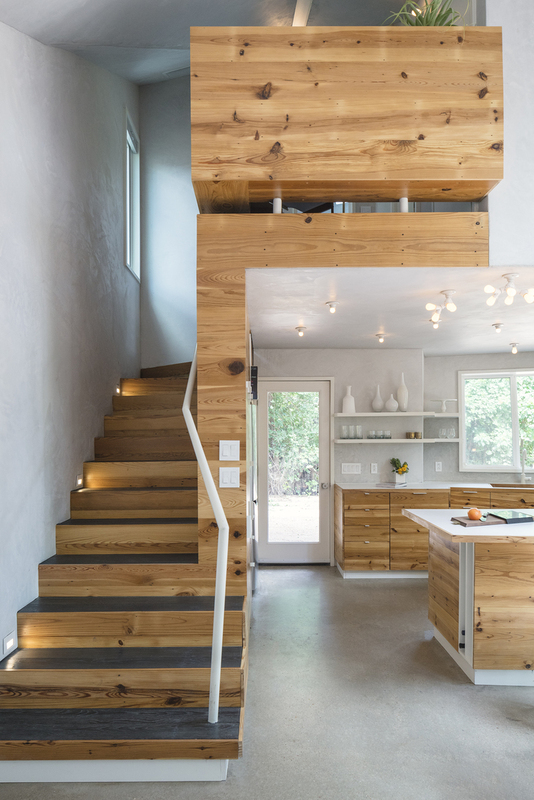 Wood stairs with charred wood treads and a white handrail lead to the second floor. At the top of the stairs and behind a door is the bathroom. A skylight helps to brighten the bathroom and add natural light, while a floating mirror is located above the vanity, and in the shower, there’s a floating shower bench. Before entering the bedroom, there’s a desk area that overlooks the living room. In the bedroom, the bed has been built into the room, with wood cabinetry doubling as a headboard. Windows on two walls help to keep the space feeling open. The bedroom also has a small open closet. 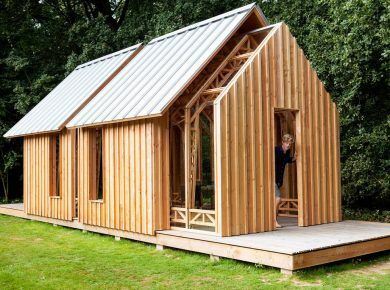 After viewing this house we would recommend you to check other creative tiny houses.